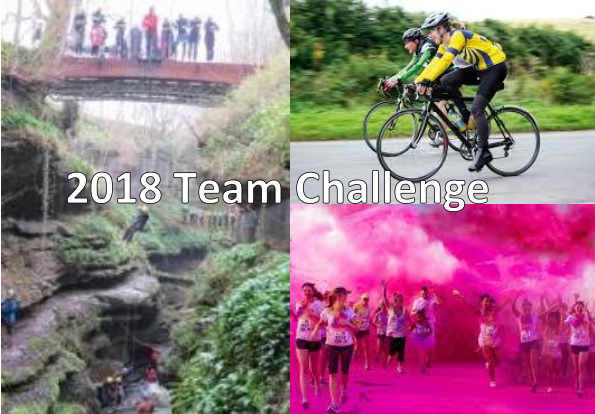 Following on from the fundraising successes over the last few years, the team have decided take part in a selection of events to help raise money for Royal Manchester Children’s Hospital Charity. The main challenge for this year, sees the team embarking on the Wythenshawe Circular Bike Ride on Sunday 2nd September. This is a gruelling 100K route which starts and finishes in Wythenshawe Park. The route will take our team through Knutsford, Northwich and then loops back round heading through Wilmslow to the finishing line at Wythenshawe Park! The second challenge the team have decided to take part in is Gorge Walking at How Stean Gorge, Harrogate on the 14th July. The team will enter the gorge by abseiling 45ft and then forge their way against the flow of water as they scramble over boulders, slide down waterspouts, and jump into deep plunge pools in order to climb their way out. And the final challenge is the 5K Colour Rush Run in Liverpool on the 21st July. The team will have to combat 20 obstacles and 8 colour stations on this course and will no doubt be looking very colourful by the time they finish the run! Please support our team to raise funds for the Royal Manchester Children’s Hospital, the money raised will help provide support for children and their families during what can be a very difficult time for them.